If the water feels a bit nippy, why not wear a wetsuit? 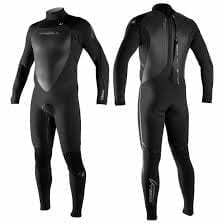 We offer Outer Banks Wetsuit Rentals to keep the shivers at bay and prolongs your surf or swim session. Even in the summer months the water temperatures on the Outer Banks can swing from 58 – 78 degrees in one week!!! As absurd as that is, be prepared to shred no matter the ocean temperatures with a wetsuit from the Kitty Hawk Kayak & Surf School. For a great resource for current ocean temperatures on the Outer Banks, check out the Duck Research Pier.